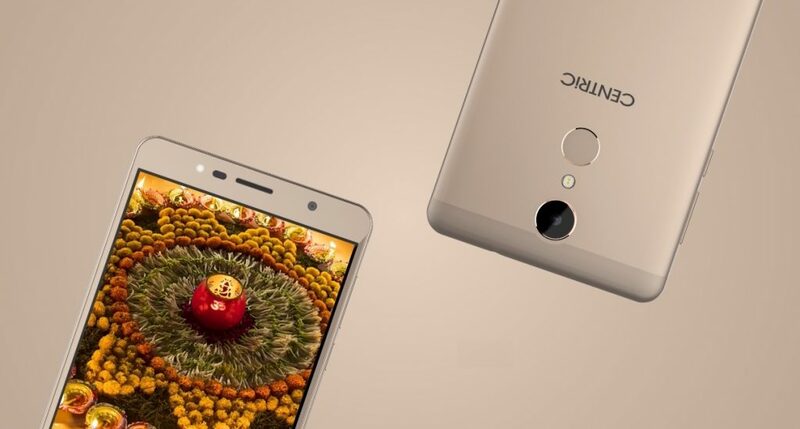 Earlier this year, the Indian smartphone brand CENTRiC had launched four new budget smartphones – CENTRiC L1, CENTRiC P1, CENTRiC P1 Plus and CENTRiC G1. All these devices are priced under Rs. 10,000 and came with 4G VoLTE support. Now, the company is all set to launch a new smartphone called Centric A1. It is priced at Rs. 10,999 and offers unibody metal design. The smartphone will be available in Metallic Earl Grey, White & Peach Gold, Gold & Peach Gold color options. Unlike many other smartphones in the budget segment, the CENTRiC A1 packs uncompromised specifications. It sports a 5.5-inch In-cell display with Full HD (1920 x 1080 pixels) and includes Dragontrail Glass protection on the top. Under the hood, the CENTRiC A1 is powered by a 64-bit Qualcomm Snapdragon 430 (MSM8937) Octa-core processor coupled with Adreno 505 GPU. It includes 3GB of RAM and 32GB of internal storage that can be expanded additionally up to 256GB via a MicroSD card. On the rear of the device is a 13MP camera with PDAF, 5P lens, and dual LED flash. There is an 8MP front-facing camera with LED flash and 90-degree Field-of-View for wider selfies. The device supports dual SIM dual standby using the hybrid SIM slot. It is backed by a 3,000mAh non-removable that is rated to give up to 15 hours of talk time and lasts up to 210 hours in standby mode. The CENTRiC A1 also supports Quick Charge 3.0 that can give 4 hours of talk time with just 10 minutes of charging. The fingerprint sensor is placed on the rear of the device. Connectivity options include 4G VoLTE, Wi-Fi 802.11 b/g/n, Bluetooth 4.0, GPS, A-GPS, FM Radio, 3.5mm headphone jack, and USB Type-C port. It runs on Android 7.1.1 Nougat out of the box, and there is no information about the Android 8.0 Oreo update. It also includes a bunch of sensors including Gyroscope, E-Compass, G-Sensor, Light sensor, Proximity sensor, and Hall sensor. The CENTRiC A1 measures 152 x 76 x 7.8 mm and weighs 160 grams. Beneath the display are the three capacitive navigation button for back, home, and multitasking (left to right). Let us know, would you be interested in using a smartphone from a relatively new brand. Share your opinion with us by commenting down below.